• The White House currently has a rating of 4.6 out of 5 stars from Glassdoor reviewers. 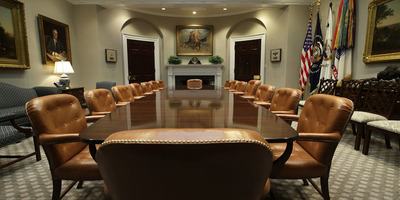 • Business Insider looked at 67 Glassdoor reviews written between 2009 and 2018 (or through President Barack Obama’s administration and President Donald Trump’s) by full-time and part-time White House staffers. • Reviewers mentioned a number of recurring themes, including a wealth of post-White House job opportunities and an intense, demanding work schedule. • For the most part, staffers had nicer things to say about President Barack Obama than they did about President Donald Trump. White House jobs come with highs and lows, just like any other gig. Unlike most jobs, however, workplace turbulence at 1600 Pennsylvania Avenue spawns headlines. The high turnover rate among President Donald Trump’s senior staffers has attracted much scrutiny, in particular. But what’s the environment like for White House employees who aren’t necessarily high profile? Business Insider looked through 67 Glassdoor reviews written by people who said they were part-time or full-time White House staffers and interns. There isn’t too much data specifically focused on the Trump White House just yet. Of the reviews that Business Insider looked at, 57 were posted before January 20, 2017, the day Trump took office. Still, the White House’s Glassdoor ratings provide an interesting glimpse into the working environment at the most famous address in the world. Overall, the White House earned a 4.6 out of 5 rating from reviewers – quite a high score. But some categories raked in more praise than others. And reviewers consistently complained about intense work hours and low pay. At the same time, a whopping 98% of reviewers would recommend working at the White House to a friend, and that number has held steady from President Barack Obama’s administration through Trump’s administration right now. 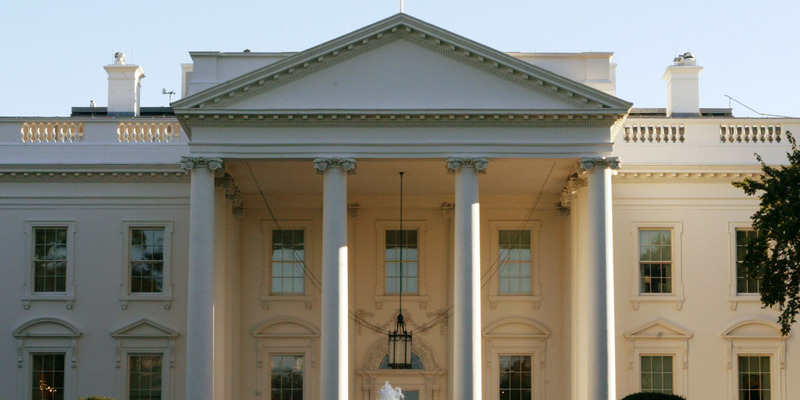 Long hours and a “sporadic” workflow are apparently the order of the day at the White House. “There is an insane amount of work,” wrote on anonymous employee on October 18, 2017. Reviewers rated the work-life balance at the White House a measly 2.7 out of five, indicating that it’s not for people who hope to balance their personal and professional lives. And, while many news reports have focused on the reported chaos gripping the Trump administration, the intense work environment for lower level staffers isn’t a recent development. 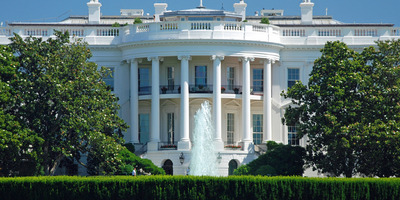 According to reviewers, it’s just the nature of the White House. One program analyst described a “pressure cooker environment” in a February 11, 2012 post, back during Obama’s administration. A White House gig isn’t necessarily a ticket to a high salary. Reviewers gave the compensation and benefits a score of 2.9 out of five. And another earlier reviewer, a senior analyst and project manager, bemoaned bringing home “government pay in a pricey city” on July 20, 2016. Then again, these Glassdoor reviews and ratings include those of both part-time staffers and interns; the latter group has historically been unpaid. Meanwhile, other reviewers have praised “the full suite of standard employee benefits” that come with federal positions, as a former marketing communications worker wrote on April 13, 2015. Overall, the White House’s culture and values category obtained a 3.6 rating out of five. The value of service, in particular, is a common theme in these Glassdoor reviews. “I was surrounded by professionals whose service-oriented values systems mirrored the one in which I had grown up,” wrote an anonymous employee on July 3, 2014, during the Obama administration. But the outlook for the White House seemed to sour a bit after January 20, 2017. One reviewer referred to Trump as “a dumpster fire” on July 20, 2017, while another wrote on April 19, 2017 that they disapproved of the current president and that the workplace experience is “completely dependent” on the administration. These negative reviews come from a small sample, but Trump has claimed to promote “conflict” and turnover in the past, Business Insider reported. What’s more, the Trump administration has attracted controversy for reportedly having West Wing employees sign un-enforceable NDAs. 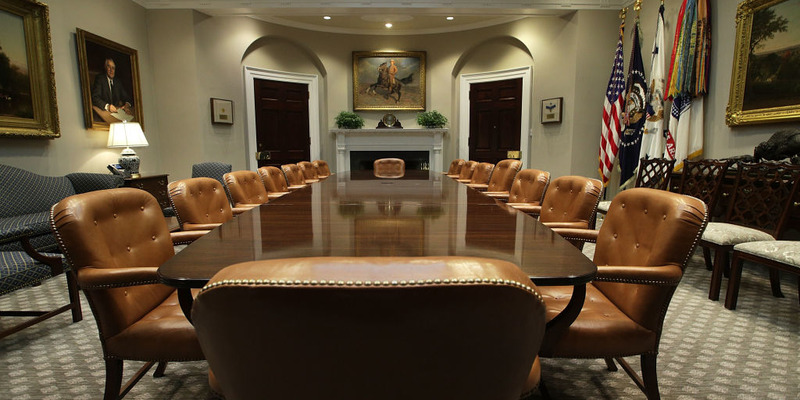 White House senior management earned a score of 3.9 out of 5 from Glassdoor reviews. 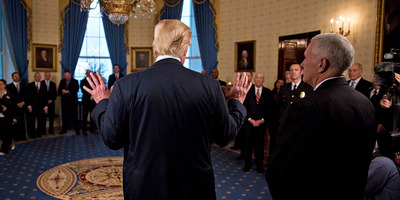 When it came to management, some reviewers spoke glowingly, like one communications special assistant who wrote that “management is an extraordinary group who watch out as much for subordinates and peers as they do executive leadership and POTUS” on November 11, 2016. Many reviews, however, called for more respect and consideration to be shown to interns and lower level staffers. None of the Trump-era reviews have weighed in on how management at the White House has changed or stayed the same. And when it comes to measuring the commander-in-chief’s performance, it might be too early to call. Obama earned a perfect 100% approval rating, based on reviews from 40 staffers. So far, there’s been less praise for his predecessor, but the sample of Trump-era reviewers is also far smaller. Trump currently has a 37% approval rating, based on feedback from 10 reviewers. Additionally, five of the six reviewers who noted they had a “negative outlook” about the White House’s future did so after the 2016 election. The White House’s top-rated Glassdoor category was career opportunities, coming in at 4.4 out of 5. And the White House’s career opportunity rating has been on the rise since early 2017. “You have tremendous work experience – it is the fulcrum of the global political stage – and opportunities to learn about how politics operates at the highest level, not to mention the prestige,” wrote an anonymous employee on June 9, 2010. If the reviews are any indication, people will continue to want to work at the White House regardless of the stress, high turnover rate at the top, and any perceived issues with leadership – or the sitting president of the United States.